CATSENS packaging, available in 7 & 12 kg. Beware of the false BIO! Many companies present their products as '' BIO , Natural '' etc., what they mean is that their product is biodegradable and from the nature... which means absolutely nothing because everything is biodegradable and from the nature..it depends on the type of the material or product to biodegrade..
​A real certified ORGANIC product must first and foremost have the LOGO on its packaging, the production of each organic certified products is controlled and audited by strict rules and regulations to be followed by the recognized certifiers. The plants as well as the products are audited and verified several times during the year to ensure that the producer is respecting the complete chain of production. CATSENS even has its own tracking number on each bag, this is something that no other manufacturer can offer. Please visit our website to find out more about CATSENS! ​Why is CATSENS so different and the best cat litter on the market? It is the best Cat's Hygiene on the market! An organic certified cat litter i.e. 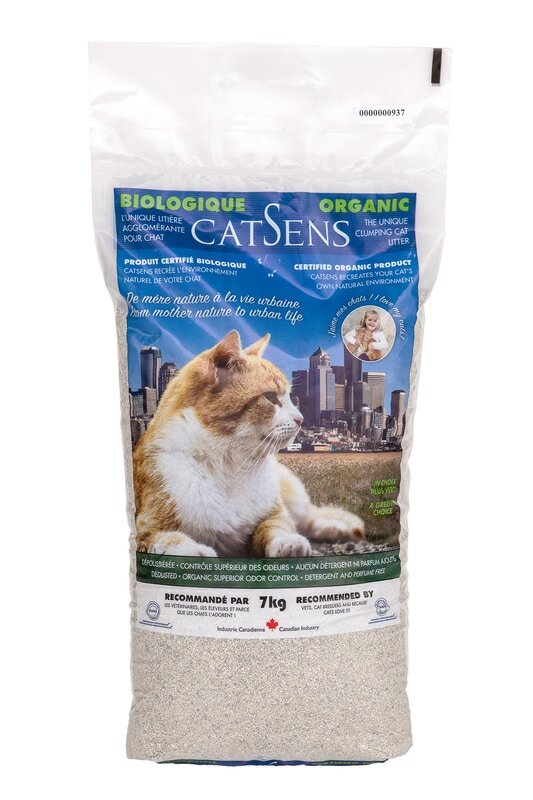 : CATSENS, is simply a best type of litter to use for a cat or multi-cats, because it promotes excellent cat’s hygiene. We use 100% Canadian organic feed grade clay (no fillers added, no perfumes, no colorant, no detergents, etc. added or mixed in our litter.) and a blend of oleaginous ORGANIC oils as odor control.. 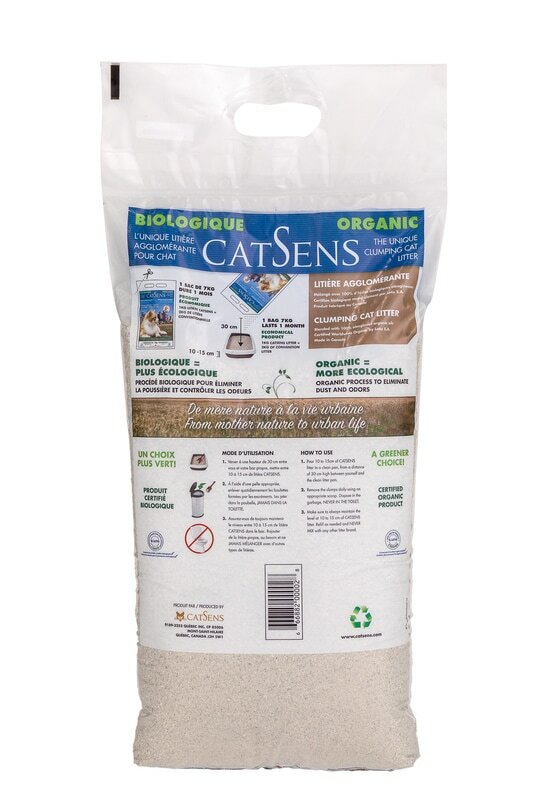 In a CATSENS bag wetter a 7 or 12 kg, you always have the same recipe, each and every single grain are certified organic clay….therefore, you really have completely a 7 or 12 kg of real litter in the bag…. CATSENS, the litter that makes Sens!